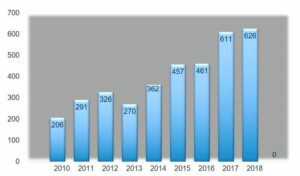 Chicago, IL (Jan. 29, 2019) – Mergers and acquisitions of insurance agents and brokers last year broke several records in 2018, according to OPTIS Partners’ annual report. The OPTIS database logged a record 626 deals in the United States and Canada in 2018, including 330 transactions in the second half of the year and 148 transactions during the fourth quarter. There were 611 M&A deals in 2017, previously the most active year. The report covers firms selling primarily property-and-casualty insurance, both P&C and employee benefits, and employee benefits agencies. 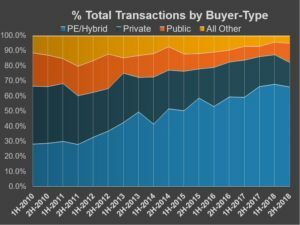 Private equity/hybrid buyers accounted for 424 transactions, representing 68 percent of the total, compared with 383 transactions and 63 percent in 2017. 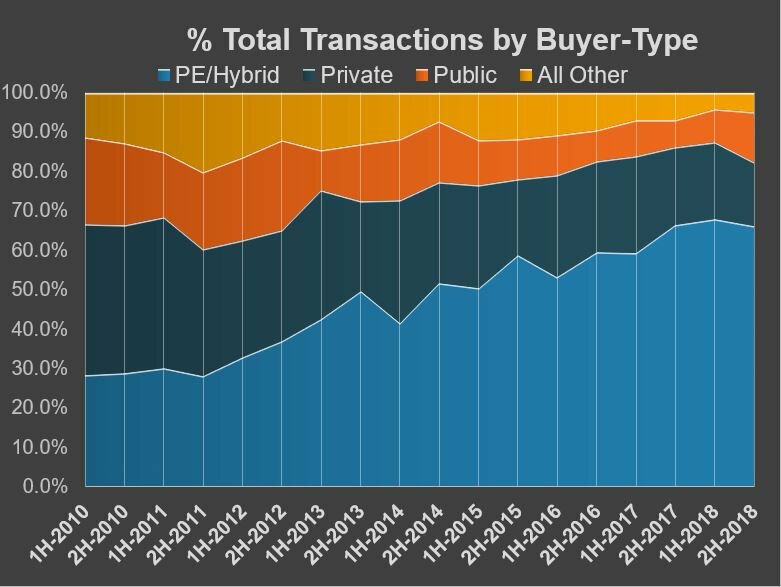 ”The concentration of PE/hybrid buyers has grown steadily since we began tracking deals in 2008 when only 21% of the transactions involved private equity buyers,” he said. The top five buyers were Acrisure (101 acquisitions), Hub International (59), AssuredPartners (37), Gallagher (36) and Broadstreet Partners (34). All were in in the PE/hybrid category except publicly owned Gallagher. 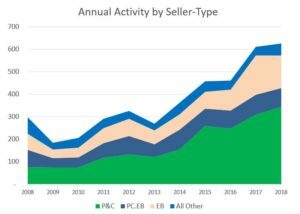 Privately owned firms completed 107 transactions in 2018, down from 137 acquisitions in 2017. This was the first decrease from this group since 2013. There were 142 unique buyers in 2018, down from 177 in 2017 and the lowest total since 2014. At the same time, the top 10 buyers in 2018 accounted for 62 percent of the number of transactions compared to only 56 percent in 2017 and 52 percent in 2016. Internal perpetuation is a challenge because of the increasing gap between the value third-party buyers are willing to pay and internal transaction values. Many owners find these values very compelling. Equity and debt capital remain plentiful to fund PE/hybrid buyers. If you’re a buyer, pay attention to cash flow and be careful not to overpay. If you’re a seller, identify the best cultural and operational fit. Take advantage of strong pricing before things change. If you’re neither, ignore all the hype and run your business like a business and strive for improvement every day. The OPTIS database tracks a consistent pool of the most active acquirers and other announced transactions, and is, therefore, a reasonably accurate indication of deal activity in the sector. ”The actual number of agency acquisitions was far greater than the number reported, as many buyers and sellers do not report transactions, and some acquirers do not report small transactions,” Cunningham said. Read the full report: 2018 Agent & Broker Mergers & Acquisition Update. OPTIS was ranked as the fourth most active agent-broker M&A advisory firm in 2017 and 2018 and the fifth most active in 2014, 2015 and 2016 by SNL Financial. Focused exclusively on the insurance distribution marketplace, Chicago-based OPTIS Partners offers merger & acquisition representation for buyers and sellers, including due-diligence reviews. It provides appraisals of fair market value; financial performance review, including trend analysis and internal controls; and ownership transition and perpetuation planning.